Item # 312701 Stash Points: 5,995 (?) This is the number of points you get in The Zumiez Stash for purchasing this item. Stash points are redeemable for exclusive rewards only available to Zumiez Stash members. To redeem your points check out the rewards catalog on thestash.zumiez.com. 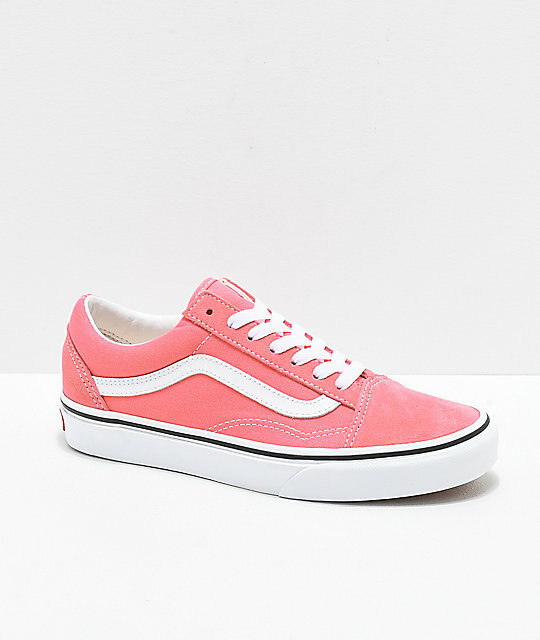 Pick up your all-time favorite sneakers in a brand-new colorway, with the Old Skool Strawberry Pink and White Skate Shoes from Vans. 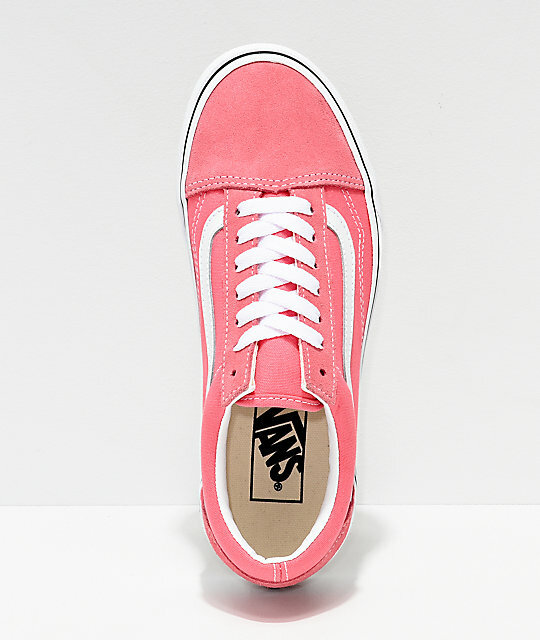 These classic skate shoes have been revamped in an all new bright pink colorway for a fun, eye-catching look. 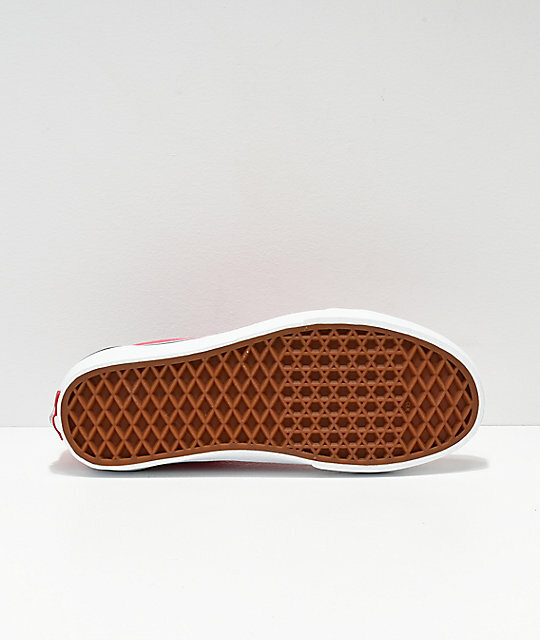 The Old Skool features a canvas and suede upper, cushioned footbed, and Vans signature waffle tread for grip, creating a shoe that not only looks good, but feels good too. 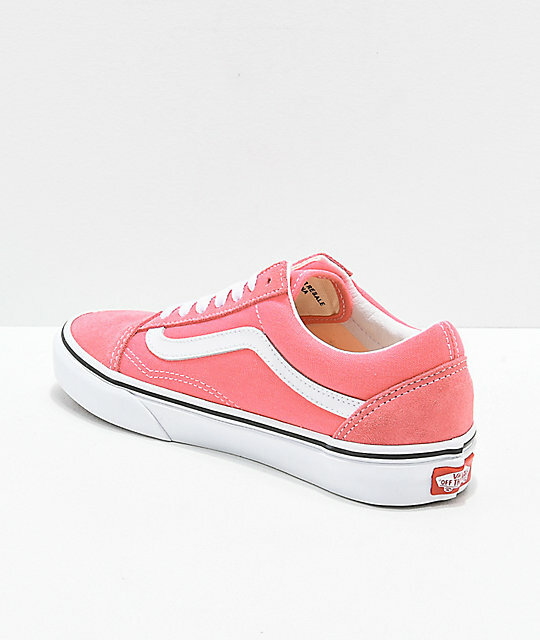 Old Skool Strawberry Pink & White Skate Shoes from Vans.